Todd V. Peterson has been defending the rights of individuals charged with crimes for over 20 years. He began his professional career in 1993 as a law clerk to the Honorable Joseph E. Salland. In 1997, he moved to the St. Cloud area and opened his practice. Todd is a Minnesota State Bar Association Certified Criminal Law Specialist, a member of the Minnesota Society for Criminal Justice and the National Association of Criminal Defense Lawyers. He is a member and past president of the Stearns/Benton County Bar Association, a member of the Minnesota Association of Criminal Defense Lawyers, on the board of the Minnesota State Board of Legal Certification – which oversees the process by which lawyers in Minnesota are certified as specialists – and a member of the Minnesota State Bar Association. He also has been an adjunct professor at St. Cloud State University. Mr. Peterson holds a Juris Doctor from William Mitchell College of Law, where he was a member of the International Law Society. He has a Bachelor of Arts in speech communications from the University of Minnesota. 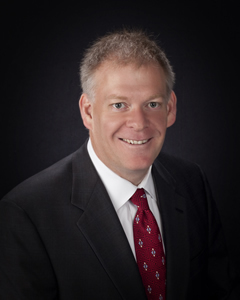 Todd V. Peterson is a Minnesota State Bar Association Certified Criminal Law Specialist. The certified specialist designation is earned by leading attorneys who have completed a rigorous approval process, including an examination in the specialty area, peer review, and documented experience. Certified attorneys have demonstrated superior knowledge, skill and integrity in their specific field and can use the designation of specialist to advertise their credentials. This achievement has been earned by fewer than 3% of all licensed Minnesota attorneys. More information about Certified Legal Specialists is at the MSBA.